Culture: Losing the Sense of Wonder? 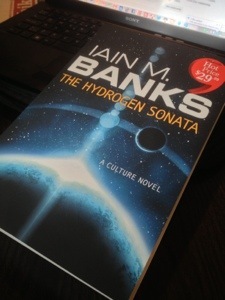 I have finally found a physical copy of The Hydrogen Sonata, the new Culture novel by Iain M. Banks (since I am a fan, I collect the paperbacks, rather than get Kindle/e-book licences). After reading a while, it became clear that this is book about Sublimation (“Heaven”), while The Surface Detail, the previous one was about Hell, and – this is pretty obvious – the one before that was about Matter. I think I do not like these bulky, bit over-ambitious novels as much as the earlier, often quirky and surprising Science Fiction works with unabashed satirical and political undertones. The real reason might be that I have enjoyed the sense of wonder that has saturated the Culture narratives, the super-human scale and feeling that we are seeing only glimpses of mysteries that remain there at the background, unexplained. Now Banks has started to explain things – Big Things – and that is not good. Sense of wonder is gradually diminishing, even while it is still there. Is this trilogy the start of goodbyes for this particular vision of science-fictional future? 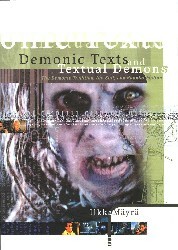 In my Demonic Texts, Textual Demons book (my PhD thesis) I touched upon this theme in the Vampire Chronicles series by Anne Rice: as the older and more powerful vampires took us towards the origin of them all, there was finally no stone turned, no sense of mystery left. 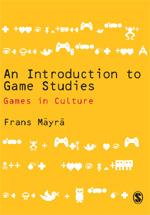 You can download the relevant chapter from here: http://www.uta.fi/~frans.mayra/Demon_2005/Chapter_07.pdf. Got this book finished today. Even while there was a touch of Macbeth, among other things, towards the end of the book, it did not just sustain its tension for me. Too much philosophical discussions, too little genuinely interesting twists of plot or new innovation.